October Winner Of Greenification Program! 730-742 George St, Haymarket NSW 2000. 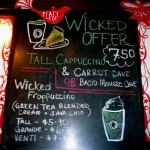 Grant Garlick (store manager) has been very supportive of the Greenification process and has helped to do the following at the Haymarket Starbucks Store: introduce a WICKED DEAL in their store, provide a free upgrade of drink size for ticket holders and create a special WICKED FRAPPACHINO. 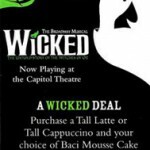 We would like to thank Starbucks Haymarket by inviting Grant and a guest to see WICKED at the Capitol Theatre. 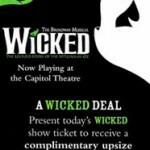 The Winning Package includes: 2 x A-reserve tickets, 2 signature cocktails, 2 ice creams and a WICKED program. 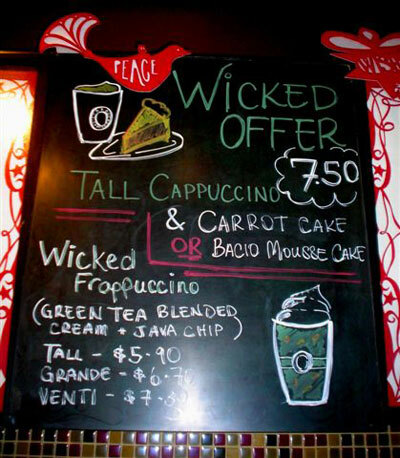 Congratulotions to the Starbucks team!